This is not a ranking tournament but all are welcome to take part. 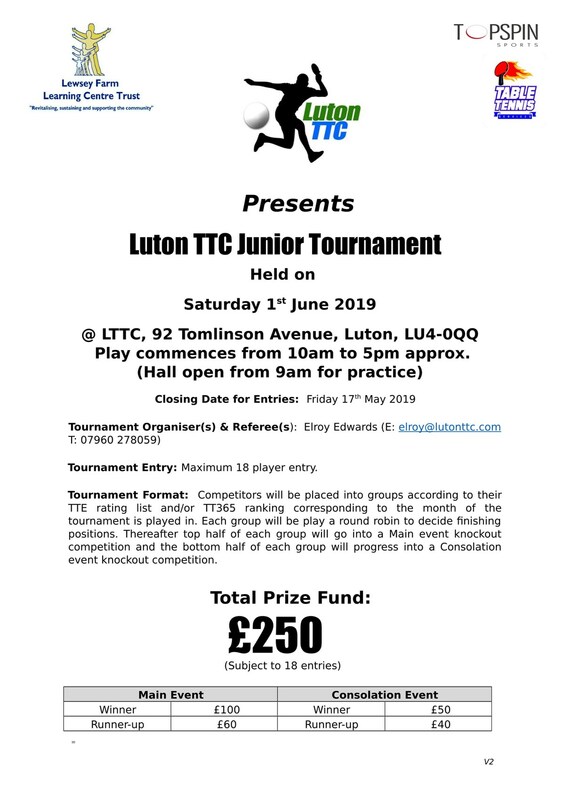 Please get your entries in as soon as possible. 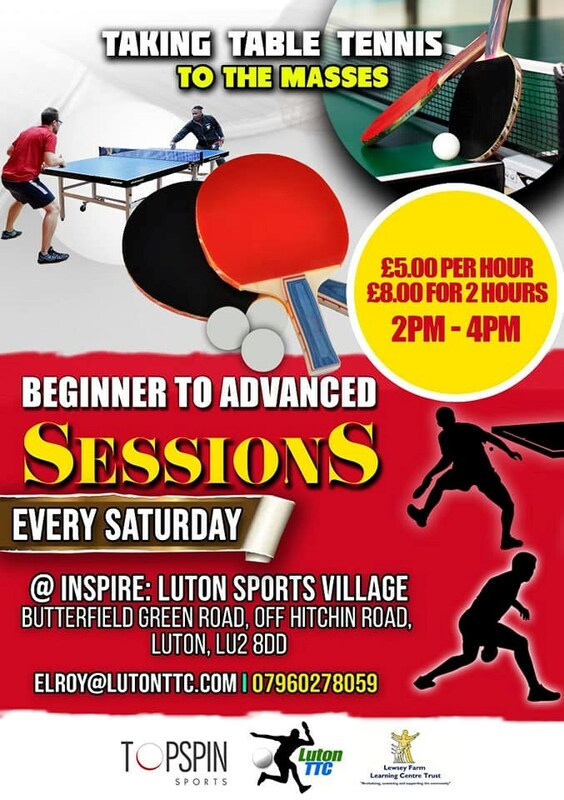 Helping to build the table tennis communities in and around Luton.